Eastern Idaho and western Wyoming's number one news source is now available for your Apple TV. 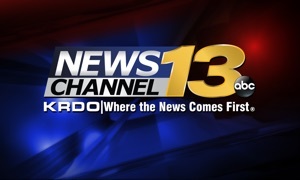 LocalNews8.com is the area's authority for breaking news and severe weather updates. The First Alert 8 team will you keep you ahead of the storm and let you know when severe weather is heading your way with VIPIR Radar. Also, the latest forecast and current temperature information is updated several times a day. LocalNews8.com also provides current road condition and construction updates along with the snow report for the area's ski resorts from Sun Valley to Jackson, Wyoming.